The Institute will soon be expanding our ongoing effort to prevent opioid overdoses in our communities, thanks to new funding from the federal Substance Abuse and Mental Health Services Agency (SAMHSA). 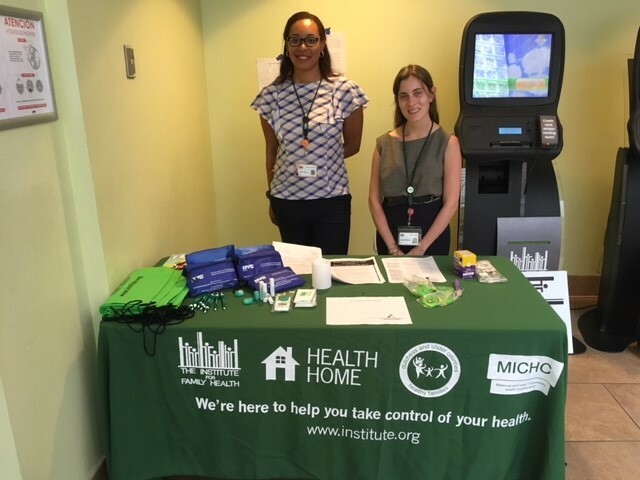 The new five-year grant will support distribution of overdose reversal kits at our health centers and in the community, a training program for other service providers to learn to use and distribute kits, and an accelerated effort to connect more people with treatment for opioid dependence. The Institute will implement this project in two regions of New York State – the Mid-Hudson Valley and New York City – both of which experience a disproportionate share of opioid use disorder and associated overdoses related to prescription drugs, fentanyl and heroin. To address the overdose crisis, the Institute will partner with community-based organizations and prescribers to expand screening for overdose risk and distribution of opioid reversal drugs in our health centers and communities; develop and launch an overdose prevention training program for community members and agencies; and provide linkage to a variety of treatment options for patients who have experienced an overdose, or are at increased risk for overdose. “This program will build on the Institute’s past work to reduce opioid dependence and prevent opioid overdoses in the community by significantly expanding our efforts to reach people at risk of overdose,” said Dr. Neil Calman, the co-founder, president, and CEO of the Institute for Family Health. The Institute has previously trained many of its providers in the provision of medication-assisted treatment (MAT) to patients dependent on opioids, and has also partnered with other organizations to train community members to administer life-saving overdose reversal drugs. According to federal data, the number of unintentional overdose deaths from opioids has risen dramatically over the past several years. The number of overdoses tripled between 1999 and 2014, and in 2016, more than 65% of overdoses were opioid-related. The Mid-Hudson Valley and in New York City have both experienced sharp increases in prescription opioid dependence in the past decade, resulting in a dramatic rise in heroin abuse and opioid-related overdose fatalities in these communities.